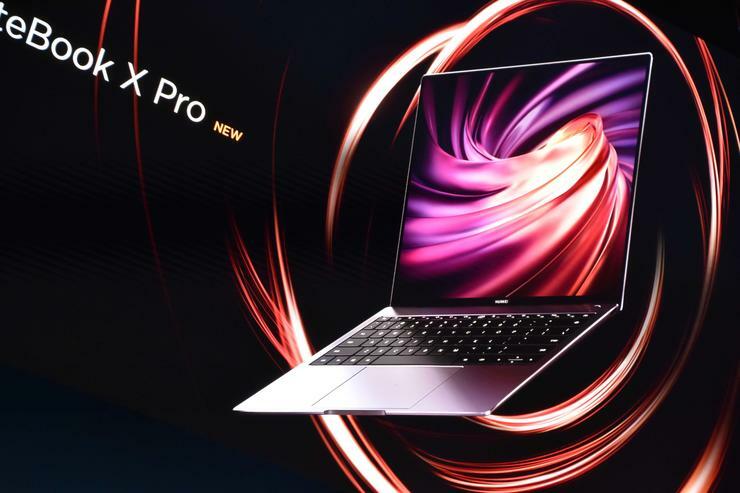 The new second-generation Matebook X Pro, which boasts the same name and branding as its predecessor, features slightly sharper bezels (91% screen-to-body ratio versus the 90% found in the original Matebook), 8th Gen intel processors, Nvidia MX250 graphics and a slick 13-inch 3K touchscreen display. The new laptop also preserves the concealed camera of the original, which Huawei say they’ve received positive consumer feedback around. Portwise, the new Matebook X Pro boasts a single USB 3.1 port, two USB type-C ports (either of which can be used for power) and a headphone jack. The other detail that Huawei are talking up here is a new software feature that will allow Huawei phone users to easily and quickly pair their device with the new Matebook X Pro and pass photos, files and video via Bluetooth. You can even copy something to your clipboard on your phone and then paste it on your laptop. Huawei also announced two new, less premium, notebooks: the Matebook 13 and Matebook 14. This new series of devices will sit between the high-end X Pro and the Matebook D lineup. Both laptops boast 2K displays with super-thin bezels, pop-up webcams, 8th gen Intel processors, Nvidia MX250 graphics and a 57.4Wh battery. There's also a touch screen variant of the Matebook 13 available. There’s no word yet on Australian pricing or availability for either the second-generation Matebook X Pro or the Matebook 13 and Matebook 14. What does this mean to consumers? It means that the Huawei Matebook X Pro probably won’t be the only Huawei laptop you can buy in Australia for much longer.